Now marked only as US-40. Was to be the grand entrance of I-70 into Baltimore and a fitting end to a nearly transcontinental route, and later to be a spur of I-70. 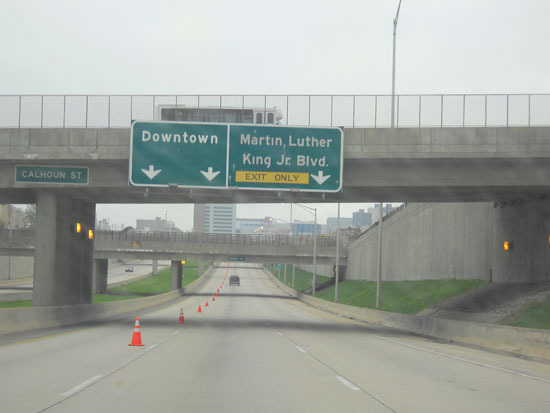 The quintessential Lost Freeway of Baltimore. 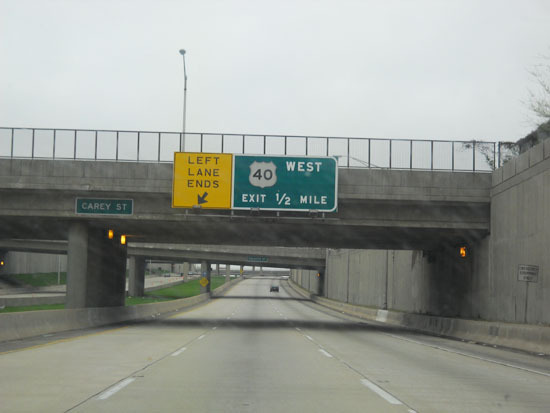 A 1.39 mile section of I-170 was begun in 1975 and completed in 1979. It was an ambitious project, a depressed roadway with space in the median for a rail or subway corridor. Hundreds of houses, all those in the corridor between Franklin and Mulberry Streets were condemned and razed. Vehement neighborhood opposition would eventually kill the I-70 extension through Leakin Park in West Baltimore to link with the completed 170. I-70 now ends at a park & ride at the city line. South of 170, the part of 70 that would have connected with I-95 just east of Caton Ave. was also killed; had this portion been completed, the planned designation was I-595. 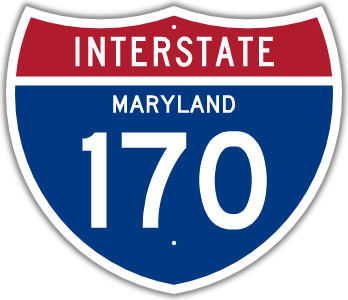 The I-170 designation was dropped in 1989, and signed as US 40. In 2010, the western abutment at Pulaski Street, which had been home to a street mural, was removed to provide addtional parking for the MARC West Baltimore Station. Current plans for the corridor include construction of the Red Line, an east-west light rail corridor. Also out there are plans to remove the freeway and fill in the trench. Any project will have funding challenges, so it's most likely to be left as is.